"This was an early curatorial project, an examination of a kind of folk or vernacular culture, so it was a lot of things at once. I handed out flyers inviting fans of the Manic Street Preachers to make art for an exhibition that was going to be staged for one day in Norwich. I was interested in the band because there was a great anti-intellectual drive in British music at the time, and this band actually wore their heart on their sleeves in terms of what they were interested in: art, literature and philosophy. I suspected that their fans would be interested in similar things. This was a pre-internet, fanzine era, but once the word got around, people started sending me all these artworks through the post. One fan who contributed was called Lotte Petersen. She lived on an island and would write me these long funny letters about how terrible her life was. 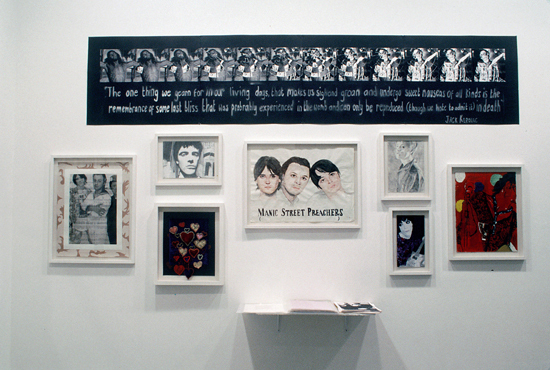 The art in the show was made during a specific moment – before these young people might go to art college, where they're basically discouraged from making this sort of work, as it is not important or significant. After that this material potentially becomes embarrassing, when it shouldn't be. It is like catching these artists in their purest form." Original flyer handed out at a Manic Street Preachers gig. Contributors being interviewed by the BBC. 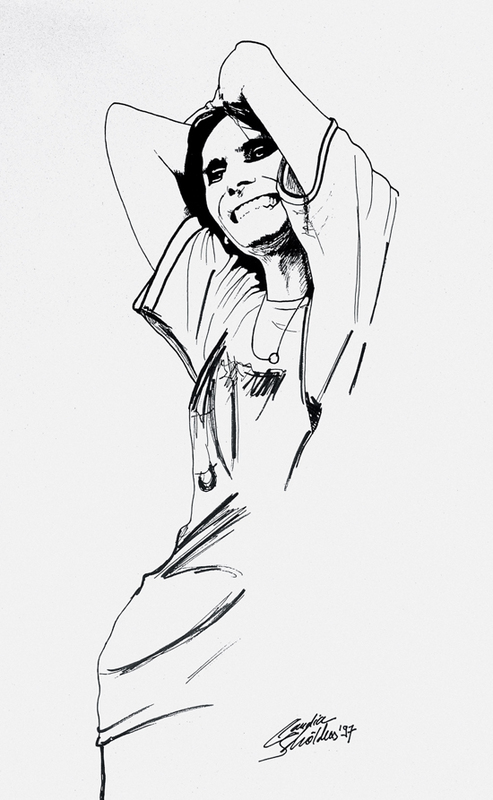 Drawing of Nicky Wire by Claudia Schölders. 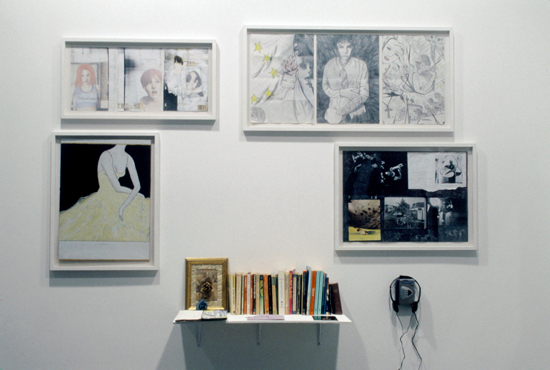 Installation shots, The Modern Institute, Glasgow.